If you're going to Miami Music Week this year, you won't want to miss the official Steve Aoki/Dim Mak Party! As winter draws to a close, vast droves of DJs, fans, producers, and industry professionals gather in Miami for the iconic Miami Music Week. The crown jewel of the occasion is Winter Music Conference, a weeklong celebration of all that makes dance music amazing. 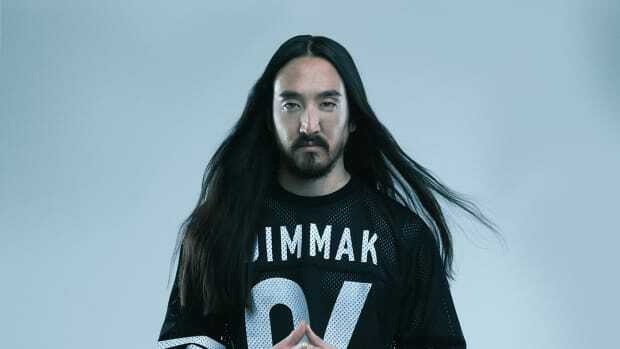 For the past decade, Steve Aoki and Dim Mak have played a key role in these festivities. In addition to curating unique and boundary-pushing events each and every year, they treat fans to a vibrant mix of pool parties, club events, and all manner of epic, Miami-worthy entertainment. In previous years, the legendary Dim Mak festivities have included performances from talent the likes of The Chainsmokers, Yellow Claw, Deorro, Rich the Kid, Dada Life, Carnage, Afrojack, Waka Flocka Flame, Keys N Krates, Lil Jon, Desiigner, Borgore, Getter, Laidback Luke, The Bloody Beetroots and QUIX. If there&apos;s one thing Aoki knows how to do, it&apos;s throw an amazing party. 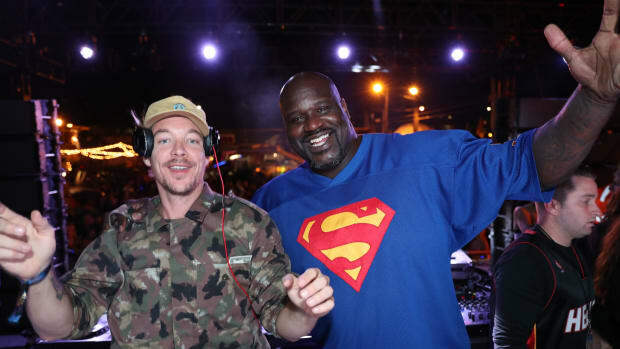 After the great success of last year&apos;s Shaq-hosted event, Dim Mak is keeping the tradition alive by returning to Wynwood in 2019. 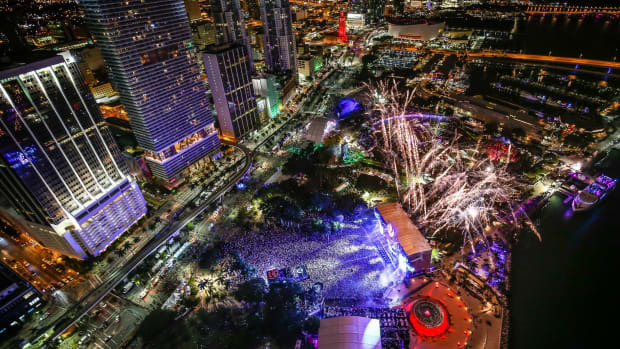 Located just north of downtown, Miami’s historic neighborhood is a cultural hub of art, fashion and music - a perfect spot for a full-fledged Dim Mak invasion. 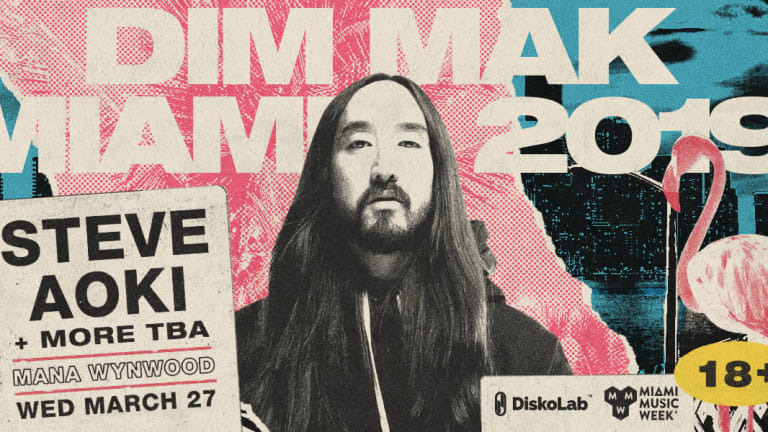 Don&apos;t miss out on an event sure to go down in history, and join us on Wednesday, March 27th as Dim Mak touches down for an all-night party at Mana Wynwood. Headlined by label boss Steve Aoki, the 18+ event kicks off at 8:00 PM and ends early Thursday morning at 3:00 AM. We&apos;ll see you there! Tickets go on sale Tuesday, February 12th. Dance event titans Diskolab host a massive array of parties for Miami Music Week including events by FISHER, Spinnin' Records, Heldeep, MixMash, Dim Mak, Anjunabeats and more. They're known for throwing the craziest parties during Miami Music Week. Monstercat returns to Miami Music Week with an unreleased lineup of VERY SPECIAL GUESTS! 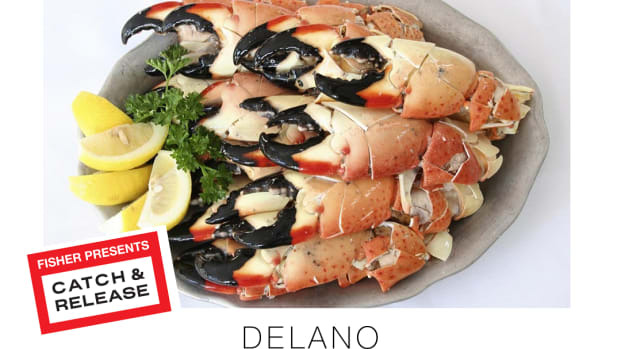 Don't miss Fisher's Catch & Release MMW pool party at The Delano Beach Club on March 27, 2019. 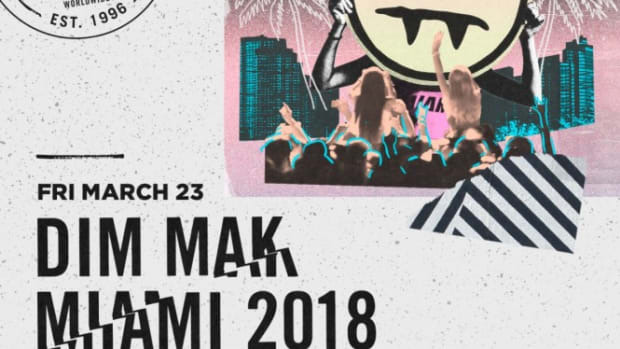 Is the Miami Music Week "CONFESSION" Event Part of the Tchami & Malaa Tour? Scrxtch N Sniff & TechYes unveil the "CONFESSION" party for Miami Music Week, the same name as Tchami's record label and 2018 Tour! NBA legend and superstar DJ Shaquille O’Neal joins forces with JBL for the third edition of "Shaq's Fun House" during Miami Music Week. EDM.com is giving you the chance to meet Steve Aoki.